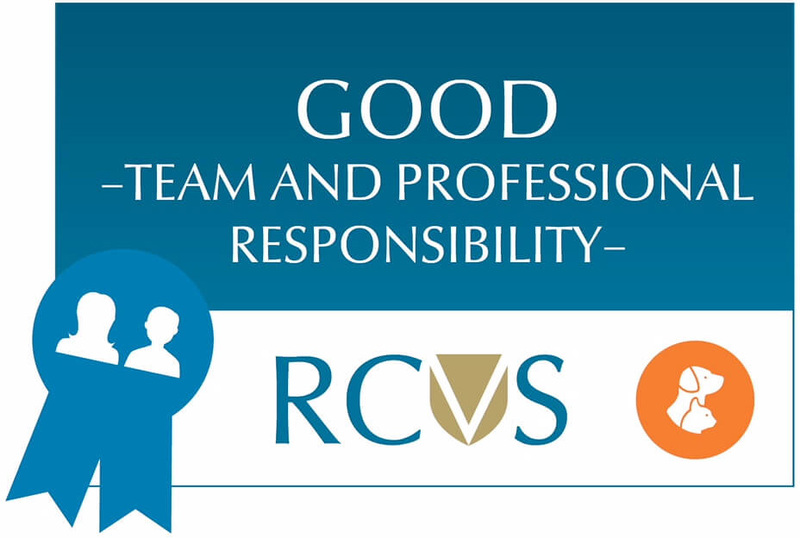 Our staff have been awarded RCVS awards for both Client Service and Team and Professional Responsibility. 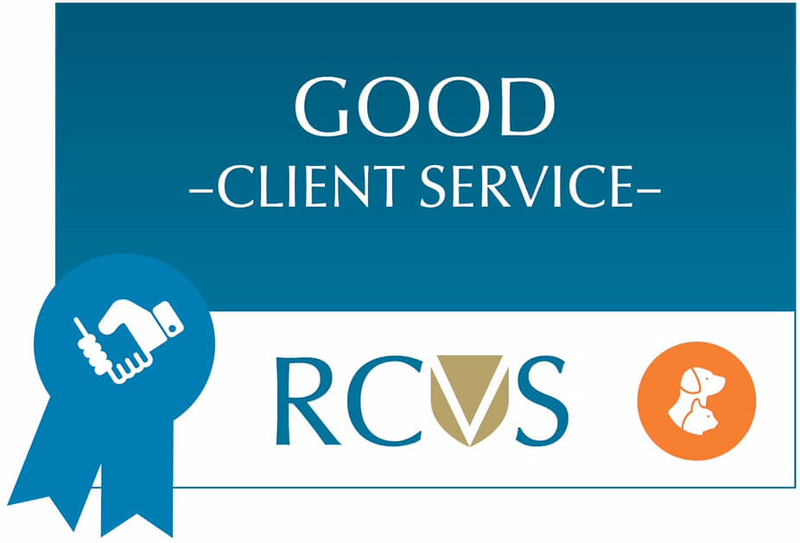 The Client Service Award is given to practices who demonstrate high levels of care for their clients, whilst the Team and Professional Responsibility Award allows practices to demonstrate that they have systems in place to make sure that the welfare and safety of staff is paramount and that their knowledge and training is kept up-to-date. Furthermore, it also recognises the practice staff’s dedication to taking responsibility for areas that impact on the level of service offered to clients and patients, such as clinical governance, practice hygiene, record-keeping and prescription and medicines services. Tim Edwards joined the practice in 1977. He has a broad range of experience with both small animals and horses. He is on the RCVS register for Riding School Inspections. 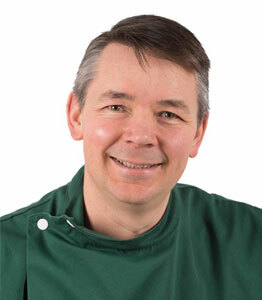 Tim has an interest in orthopaedics and most of the fractures treated in the practice will be handled by him. Julian joined the practice in 2005. Julian has regular consulting times and enjoys surgery. He has increased the diversity of orthopaedic procedures offered by the practice and particularly likes cruciate ligament repair using the Tibial tuberosity advancement procedure, placing a titanium implant into the tibia. Julian has two smart looking Bengal cross cats rehomed from Heavens Gate. Hermione is in Street on Tuesdays and Fridays. 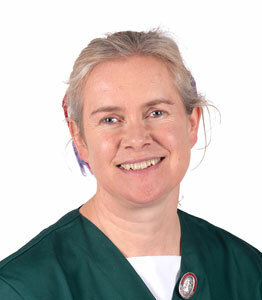 Hermione originally proved popular as a locum for Wessex Vets. Several children have interspersed her employment at Street Vets and formerly Wessex Vets. Hermione has a Pug and some cats at home. Olivia graduated in Western Australia but is calling Somerset home for now! 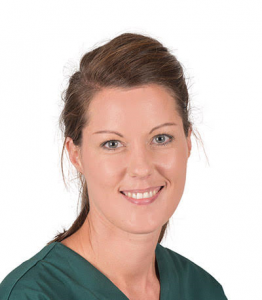 She loves all aspects of life in country practice but her professional interests include SA medicine and pain management. She also has a soft spot for cats! She lives in the neighbourhood with her ambitious daughter and two cats; Mike the Knight and Danger Girl! Outside of work Olivia loves gardening, thrillers, taking random road trips with the family and finding cosy enlist pubs with inglenook fireplaces and craft beer. Rachel joined the practice in 2018. She is enjoying the variety of her small animal role, and is especially interested in medical cases. In her spare time she enjoys running with her husband and cocker spaniel. We are looking for a vet who enjoys being a vet, values a good salary, is interested in engaging in all of the opportunities we offer, enjoys clinical discussions and mentoring a new graduate. An interest in studying for a certificate would be encouraged and funded. 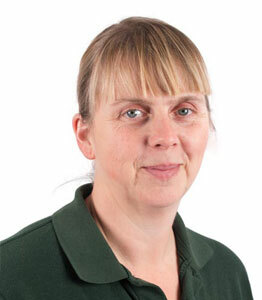 Sharon joined the practice in 2010 as an experienced Veterinary Nurse and has a Certificate in Animal Behavior. 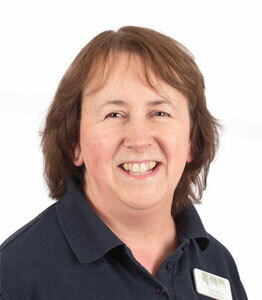 Sharon manages the day to day running of the practice and can help with any behavioural issues you may have with your pets. Sharon also enjoys equine nursing. Robin is a boomerang employee for a different reason. 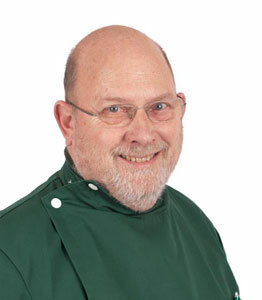 Robin used to work at Langport Vets back when the practice was Edwards & Glas. 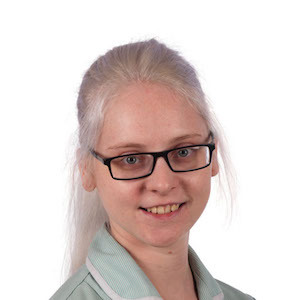 Having owned and managed a garden nursery and then working in a referral practice in Bath, Robin has plenty of relevant experience. Robin has a rather timid whippet that suffers with separation anxiety issues. 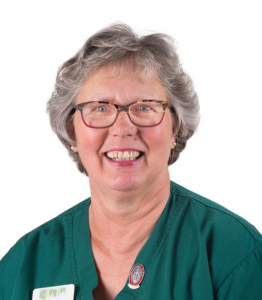 Sue has been with the practice since 2016 after previously working with us a locum nurse. She has a keen interest in dental care. Outside of work she enjoys singing and reading and is a member of a choir and a book group. She shares her home with a rescue lurcher called Roly. 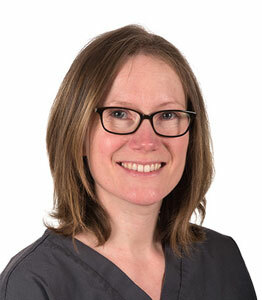 Tracey has been with the practice a number of years. 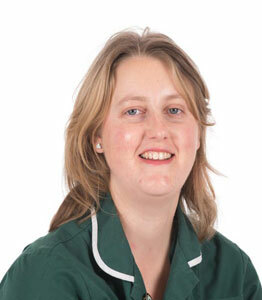 She has a young family and is currently working Saturdays at our Langport Practice. 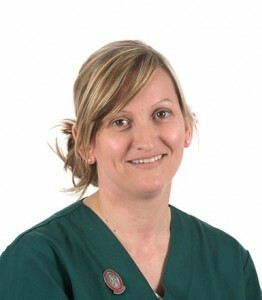 Louise trained at Langport Vets before leaving to start a family. She then moved to a small practice as head nurse. 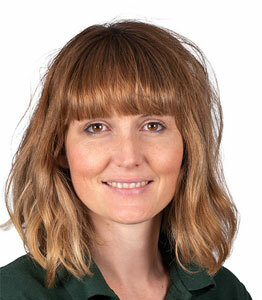 We are delighted that Louise is now working with us again in Street. Lou has Gena at home, Gena is an otherwise lively Vizsla with epilepsy and pancreatitis and a very demanding set of medicines. 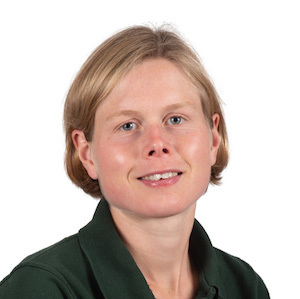 Caroline first started working at the Street practice when it was Wessex Vets and has continued her training at Langport to become a qualified Veterinary Nurse and valued member of the team. Katie originates from Northern Ireland (in case you don’t notice her accent). Katie came to see practice whilst on an animal management course in Yeovil. 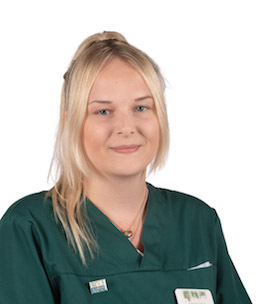 Katie is now eagerly studying to become a veterinary nurse. 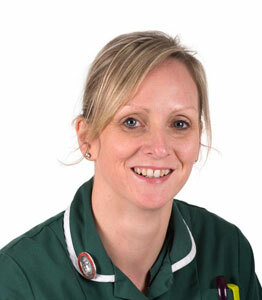 Abi has previously worked in human health care. Abi grew up with a large menagerie of horses, dogs, cats and guinea pigs. Currently, Abi has a cat called Beastie who fortunately is soft and well natured. 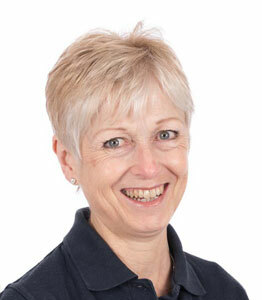 Bev works on part-time basis and is responsible for the practice finance . Bev also manages the family dairy farm. 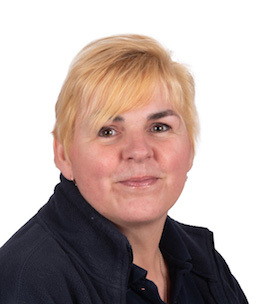 Carol is our morning receptionist and is responsible for running our morning appointment system as well as doing booster reminders and general administration. 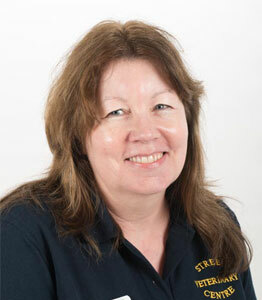 Carol has two rescue dogs that enjoy agility and are members of the Heavens Gate Agility Display Team. 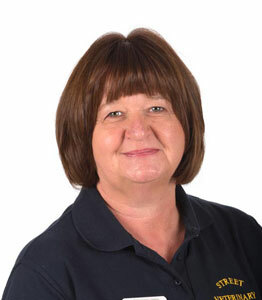 Linda is our afternoon receptionist and runs our busy afternoon surgery appointments. Linda has three cats and enjoys gardening. Jackie is our morning receptionist at Street. 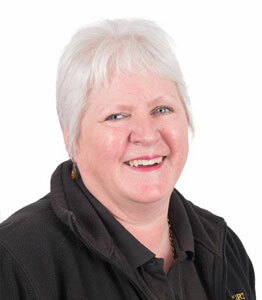 Lesley is our afternoon receptionist at Street. Lesley enjoys walking with her two Labradors. 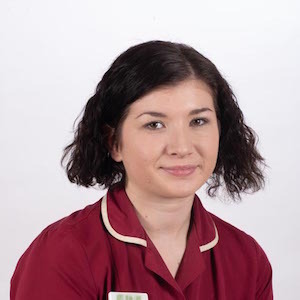 Elaine has recently moved to Somerset having previously worked as a veterinary receptionist and hospital administrator in Brighton. Along with her family, Elaine also has two large soppy Ridgebacks.